Your little prince or princess will love this sweet bed! Comes Complete with: *5 curtains, ..
Pamper your furbaby with a gorgeous new canopy bed! Comes compete with the following: ..
Spoil your pampered pup with this great canopy pet bed! Comes Complete with: *4 black ..
What a luxurious bed for your fur baby! Comes compete with the following: *white bed..
Pamper your furbaby! Comes Complete with: *5 cream curtains, *2 ties, *upper c.. This darling pet bed is perfect for your precious spoiled pooch! Comes Complete with: ..
Spoil your precious pup! Comes compete with the following: *white bed frame. Bed compo.. This is a gorgeous canopy bed for your precious pampered puppy! Comes Complete with: ..
Pamper that special Prince or Princess in your life with this luxury pet bed. Com..
Beautiful purple canopy bed for your baby! Comes complete with the following: *white.. Stylish and fancy purple canopy bed for your darling! Comes compete with the following:..
LUXURIOUSLY SOFT! 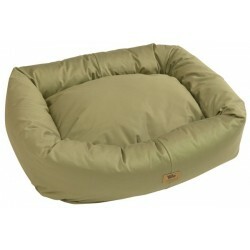 Tiger Dreamz Luxury Pet Beds are so very soft and luxurious. Tiger Dreamz are crea..